Gavin Collins belted a two-run homer in the eighth inning to give him a career-high four hits and a career-best five RBIs to lead Lynchburg to a 9-3 victory over Potomac at City Stadium Tuesday night. Collins started the scoring with a two-run double in the first inning that brought home Willi Castro and Andrew Calica. Castrosingled and stole second earlier in the frame, while Calica was hit by a pitch to extend his on-base streak to 12 games. After Sicnarf Loopstok scored on a wild pitch in the fourth, Castro opened the fifth inning with his 11th home run of the season to make it 4-0. It gave Castro his team-leading 39th multi-hit game of the year. Lynchburg added three more in the seventh, which included RBI doubles by Ka’ai Tom and Collins. Leading 7-0 in the eighth, Calica singled with two outs to extend the inning for Collins. He cashed in with a two-run homer over the left field fence. It gave Collins the first four-hit game and the first five-RBI performance of his professional career. Collins has 34 RBIs in 35 games since joining the Hillcats. Jakson Reetz hit a three-run double for Potomac in the ninth to prevent the shutout. Sean Brady earned the win (2-1) by tossing six scoreless innings. The left-hander struck out six and only allowed two hits.Argenis Angulo struck out three in two shutout frames of middle relief. After Potomac plated three runs with one out in the ninth against Nick Pasquale, Jared Robinson entered to record the final two outs and end the game, 9-3. 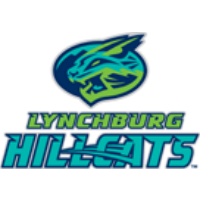 Lynchburg plays its penultimate home game of the regular season Wednesday at 6:30 p.m. Aaron Civale (10-2, 2.59) will start for the Hillcats. It’s Princess & Pirates Night, and any fan dressed as a princess or a pirate will receive $5 admission. Additionally, it’s a Winning Wednesday presented by 89.9 WNRN, and all fans will receive a free ticket to the playoff game on September 8 upon entrance. For those who cannot attend, the game can be heard live at www.lynchburg-hillcats.com.